There were 111 press releases posted in the last 24 hours and 153,276 in the last 365 days. OMNICOMM, a Russian developer of IoT solutions- technology partner of DB Schenker. MOSCOW, RUSSIAN FEDERATION, March 21, 2019 /EINPresswire.com/ -- At the beginning of 2019, DB Schenker, a global leader in the logistics services market, summarized the outcome of its large-scale project to digitize the delivery of components for manufacturers of the Kaluga automotive cluster to factories in Moscow and the Samara region. Their technology partner was OMNICOMM, a Russian developer of IoT solutions, and their local integrator, Omnicomm Systems. Just in time delivery is a key principle of DB Schenker, which manages a chain of procurement, distribution and after-sales logistics centers. The company guarantees its customers uninterrupted delivery of components and designs all of its business processes to rule out the risk of assembly line stoppages due to logistics failures. Car makers also pay special attention to the terms of delivery. For example, the transportation of certain components (bumpers, front ends, suspension parts, etc.) requires strict compliance with a speed limit of 50 km/h. Thus, the logistics partner must solve several problems: transparent control of the storage conditions of components in the warehouse, compliance with the specifications of car makers during transportation, uninterrupted delivery of components in accordance with the schedule of the assembly line and transparent accountability to the client. As part of its cooperation with car makers, DB Schenker hired a technology partner, OMNICOMM, to provide its cloud platform for online transport monitoring. The test period started in early 2017, and in 2018, navigation terminals were installed on 154 trucks that deliver components to the assembly lines of car makers. "The cost of an error in logistics often amounts to millions of dollars, especially when it comes to the transportation of components for the automotive industry. For car makers, it is extremely important to obtain reliable information concerning the method, speed and time of component deliveries to the assembly line. Therefore, we strictly follow the international standards of DB Schenker, adjust all business processes to meet the strict requirements of customers and guarantee the safety of goods at every kilometer all the way from the warehouse to the assembly line. OMNICOMM offered a comprehensive solution, and as a result, we have strengthened our existing system of logistics control from St. Petersburg to Izhevsk," said Mr. Aivars Taurins, Managing Director of АО SCHENKER. Throughout the year, DB Schenker specialists have evaluated the functionality of the system on a daily basis. As a result, the company has gained maximum control of all journeys completed by its own and partner vehicles, the ability to quickly address any delays in transit (breakdowns, accidents, etc. ), as well as deviations from agreed transport routes. Employees of DB Schenker get online access to information even outside the office, using the OMNICOMM application for Android. OMNICOMM's online platform is also connected to DB Schenker's partner fleets using the equipment in conjunction with other GPS monitoring providers. As a result, the company has scaled the monitoring of transport in a 'single window' view to include 83 vehicles. "The joint project of DB Schenker and OMNICOMM is an excellent example of how transport monitoring solutions can be successfully integrated with common business processes of logistics operators and automakers. Building on the results of the test period, we ensured constant monitoring of vehicles and the transmission of accurate data online. We are happy that our solution has become another important factor of the 100% warranty DB Schenker offers in terms of delivery for manufacturers," said Dmitry Samoilov, CEO of Omnicomm Systems. 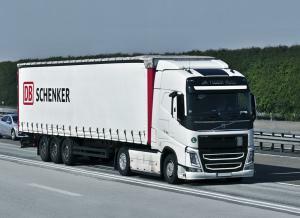 In 2019, DB Schenker and OMNICOMM plan to install the equipment in 20 to 30 more vehicles.